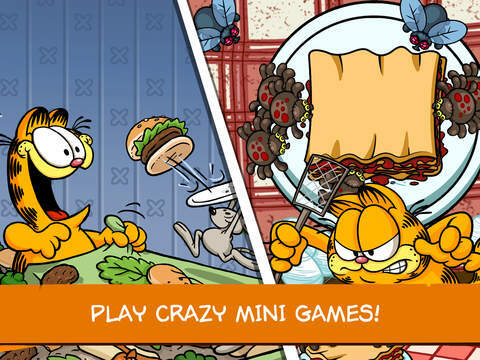 Garfield, the world’s most famous cat, and his intense passion for food are coming to mobile and tablets in a fun new simulation game! As a last desperate hope, Jon takes Garfield camping in order to force him to diet. 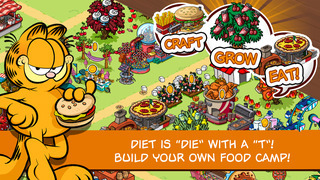 But for Garfield, Diet is ‘die’ with the ‘t’! Help Garfield get back his favorite dishes while camping in the wild. It is the Survival of the Fattest!!! “This mobile game is a big fat hairy deal and I don’t say that lightly…in fact, I don’t do anything lightly,” said Garfield. 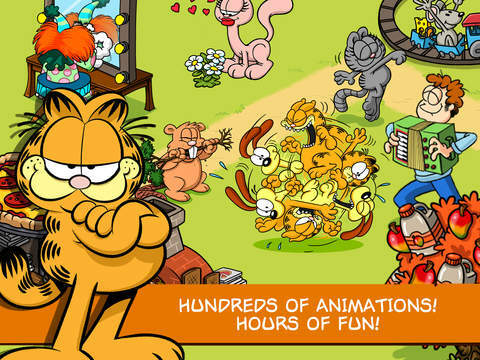 – Collect and gather all of your favorite Garfield characters: Jon, Odie, Nermal, Squeak, Arlene and more than 10 extra personalities! – Play hundreds of quests and see your favorite characters come to life in humorous animations! Hours of fun! – Over 30 food items to plant or craft with original recipes… everything you need to keep Garfield fat! 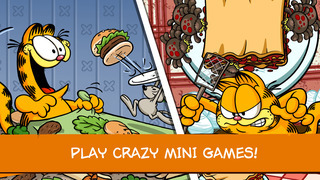 – Play 3 crazy mini-games: Spider Cave, Crazy Restaurant and Dig Site. More mini-games will be added in future updates! PS: You can play this game in English, French,Spanish and Brazilian Portuguese! Worldwide Release version, this is a big fat hairy deal! What’s New in this Version 1.0? LovePlanet - dating and meeting new people nearby!